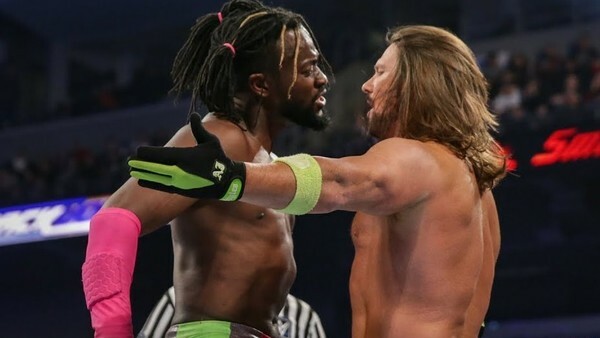 Could any of these five superstars be the one to end the legend of KofiMania? At WrestleMania 35, Kofi Kingston defeated Daniel Bryan for the WWE Championship after eleven long years of hard work and dedication, becoming only the second African American WWE Champion in the process (King Booker and Mark Henry were World Heavyweight Champions, not WWE Champions). His win created an emotional moment we will surely remember years and years from now, as he celebrated with his friends and family in the ring. Now, with WrestleMania gone and the WWE Championship in Kofi's hands, it's time to discuss who could contend for his freshly won title. This is not a dream list, fantasy booking or any of that, just a list of five people we think WWE would consider to antagonize the new champ. However, keep your expectations low because it will most likely turn out to be Baron Corbin. And they will laugh at us, because we're just a bunch of marks and morons for actually thinking they'll do something good. Let us know if you agree with the list, and give us other names you would like to see the new WWE Champion feud with in the comments below.